What are the Deadliest Drugs in the U.S.? Addiction Recovery • Addiction Treatment • Drug Addiction • Drug TreatmentWhat are the Deadliest Drugs in the U.S.? With drugs becoming more potent than ever before, the list of top-most dangerous and deadly drugs are changing. 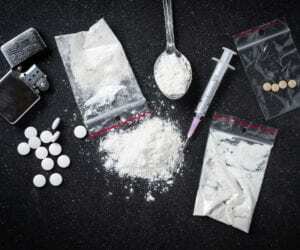 The Center for Disease Control has released the most recent report surrounding the most lethal drugs, both illicit and licit, in th e U.S. unfortunately, a large percentage of drug-related fatalities were a result of abused prescription medications that were prescribed by a doctor. The over-prescription and abuse of powerfully addictive drugs are responsible for countless deaths each and every year; a chilling and sobering statistic that needs to be reversed immediately. In 2018, Fentanyl was responsible for close to 18,400 deaths; the equivalent of the population of a small town. Over the last five years, death by fentanyl overdose increased by 30 percent; a very frightening statistic. Studies have discovered that prescription drugs were the leading cause of suicidal deaths while illegal drugs were the main cause of accidental overdose. When you purchase illicit drugs off of the street, you never truly know what you are getting as there are so many additives that chemicals that the drug may be ‘cut’ with. These additives could be the very reason why you lose your life. To put these drugs into perspective, Fentanyl is an opioid that is 50 to 100 times more potent than Morphine. Even a dusting or the equivalent of the amount of a few grains of salt can be lethal. It’s important that if you or a loved one is struggling with an addiction to drugs or alcohol or are experimenting with substances of abuse, treatment is required in order to get better. Continuing down the dangerous path of drug abuse means that you are putting yourself in a life-threatening situation each and every time that you use. If you continue to use drugs, it isn’t a matter of if you will lose your life; it is a matter of when. You can only continue down this road for so long until the dangerous lifestyle that it leads catches up with you. The use and abuse of illicit and licit drugs are not worth it as these drugs will always win in the end if you do not take control of your life now. Do not become a statistic and get the necessary help needed today in order to live the life that you intended for yourself. You have family and friends who are counting on you to make the right choice to get better.